Welcome back to Sci Friday - my mostly weekly posting that highlights science fiction and science in all its glory. Today I'm thrilled to share an upcoming middle grade science fiction book that you will want to put on your radar. While there have been some wonderful young adult science fiction novels lately, I’ve spent the past year bemoaning the lack of middle grade stories. 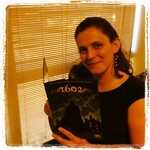 Thankfully, there was at least one gem in the 2012 publishing cycle - Eye of the Storm by Kate Messner. 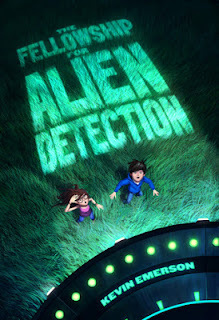 When I started hearing about The Fellowship for Alien Detection by Kevin Emerson, I got excited that we’d get a great one in 2013 as well. Thanks to Walden Pond Press, I was able to get my hands on an early copy to review! Since I also have a middle grade science fiction reader living in my house, we both got to read and chat about the book. I’ll share my son’s impressions as well as my own. Two kids from opposite sides of the country find themselves on a road trip to save the world from an impending alien attack - and bolster their middle-school transcripts in the process. I enjoyed every aspect of this book. It was definitely set up to appeal to kids who are curious about aliens. 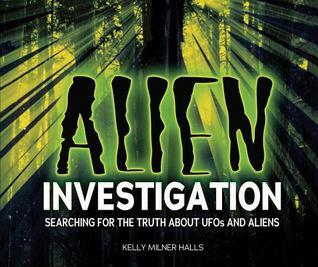 You know the ones - the kids who love to read about Area 51 and watch television shows that discuss UFO sightings. I have several of those students every year! Both of the main characters are smart kids who come up with theories about aliens, theories they are determined to prove. Yet it will also appeal to kids who love mysteries. The structure of the tale pulled me right in - making me question what exactly was happening. We start out in Juliette, and it is clear something strange is going on. There are creepy voices, mind control, and a little girl trying to fight through the confusion. I often find myself needing to give a science fiction book at least 50 pages to hook me, but Fellowship didn’t require that at all. As the story proceeds, there are plenty of clues that kept me guessing. The clues were sprinkled throughout in just the right dose. Not so many that I think that upper elementary kids will feel cheated of the chance to figure things out, and not so few that they won’t be able to start to put the pieces together themselves. That can be a challenging balancing act, and it’s one I think Emerson manages well. My son kept hunting me down to tell me about all the things he had figured out. Thankfully, I’d read it first! but you could still tell that the family was a solid unit; looking out for one another. My son’s favorite, was the boy, Dodger. Dodger loves maps, and has some hidden abilities that drew him in. Dodger’s family isn’t as pulled together as Haley’s, but the reasons for that become part of the mystery. I don’t want to ruin any surprises, but I found the resolution to this quite satisfying! Science fiction is more than just a story of action and adventure, though, and Fellowship delivered on this aspect as well. I wrote a post in April about how the main allure of the genre for me is the ability to get kids to think big “what if” thoughts and start to glimpse the immensity of the universe. 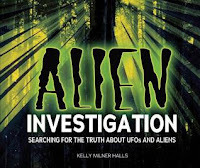 Haley and Dodger’s experiences definitely give readers time to consider those ideas, as well as to think about how we are treating the big blue marble on which we live. Fellowship is a perfect read for both science fiction enthusiasts and students who are new to the genre. I’m going to grab myself another copy of this book for my classroom library, and I highly recommend it for middle grade readers. How would we know if aliens were among us? Why are there so many tales of UFOs? What might intelligent alien life look like if it evolved on a planet with more gravity? Less? From underground dwellers? Narrator: The Fellowship has dual protagonists, one boy and one girl. Haley and Dodger get equal time in the story, with distinct yet strong personalities. Thanks for posting! This book sounds like a lot of fun. 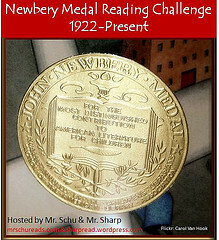 I've added it to my growing TBR list.